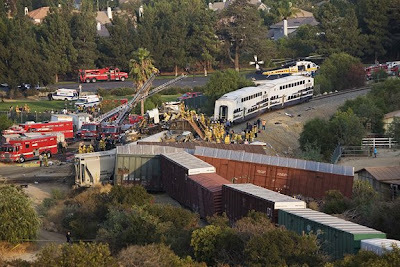 A Metrolink train crashed into a freight train that occupied the same tracks killing 25 passengers and injuring over 135 train passengers in Chatsworth, CA. 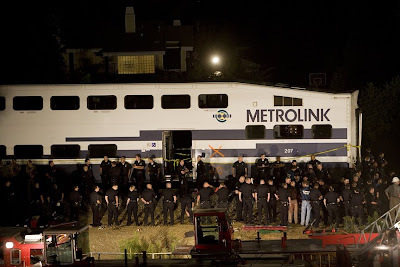 The Metrolink's locomotive sliced into one of its double decked passenger cars where all of the fatalities occurred. 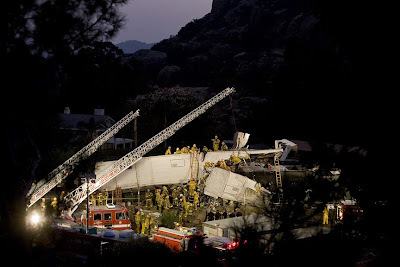 The horrific crash scene had over 700 fire, police, and rescue personnel busily working late into the evening rescuing and recovering train passengers. 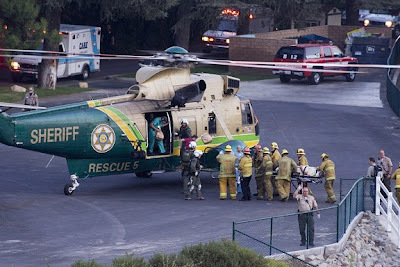 10 helicopters waited to transport passengers to local area hospitals along with many ambulances. One LAPD officer who was a passenger on the train was killed.